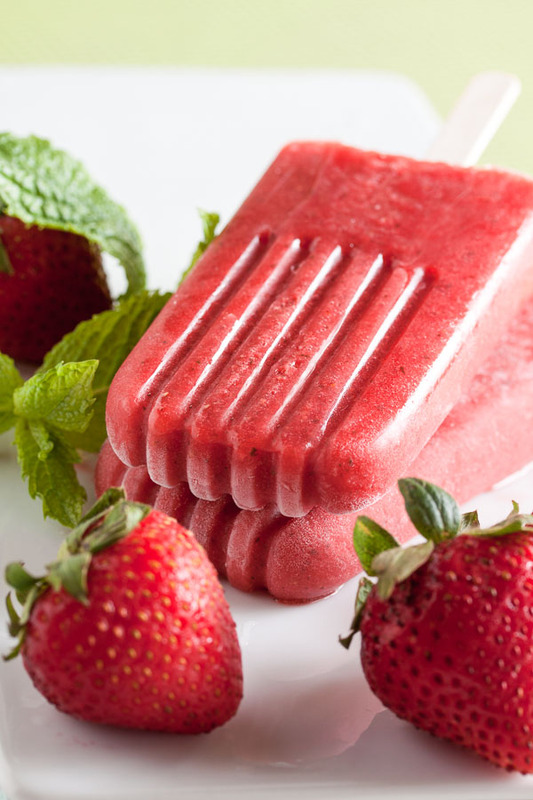 Strawberry Mint Popsicles | wanna come with? I made two batches of the strawberry and bitters popsicles (so good!) and still had some strawberries left over. 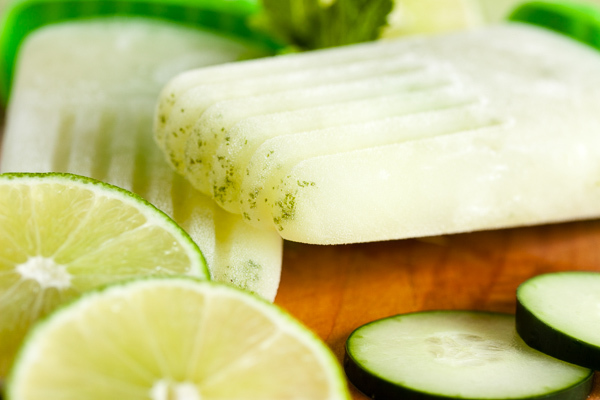 I also have a lot of mint on-hand for the cucumber lime mint popsicles that I’ve promised my coworkers to continue making (I’ve started just calling them mojito popsicles, because that’s totally what they taste like). Is there such a thing as a strawberry mojito? Doesn’t strawberry and mint sound good? One way to find out, right? I was planning to space these recipes out a bit more, but I’m just realizing we’re hitting the end of strawberry season! Where did they all go?? If you find yourself with some late-season, slightly overripe strawberries? 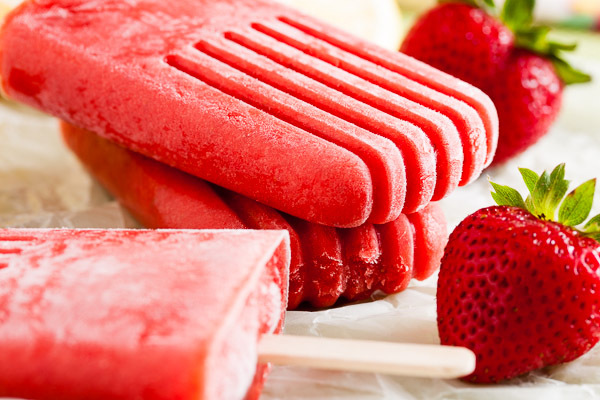 You should totally make some popsicles. 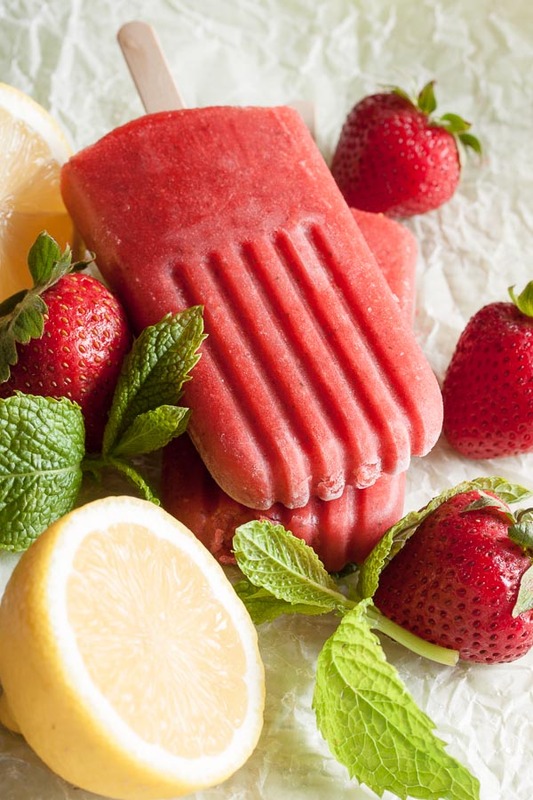 I used the strawberry and bitters popsicle recipe as a starting point for these (minus the bitters), and they have the same bright, fresh flavour of all those fresh strawberries. And there are a lot of fresh strawberries in here. I wasn’t sure how much mint to add, but I figured they’d need more than the lime ones to balance with all that strawberry flavour. So I doubled the amount and (if I do say so myself) it’s a perfect balance. This popsicle is exactly the kind of treat I want on a hot August afternoon. Sweet, light, and refreshing. And cold. It’s recipes like this that make me wish I had a larger freezer. Not just so I’d have room for more popsicles, but so I’d have room to freeze extra fruit at peak season so I’d have more strawberries later in the summer. Sigh. Oh well. I guess I’m just going to have to be stuck with what’s in season next. Maybe peaches? 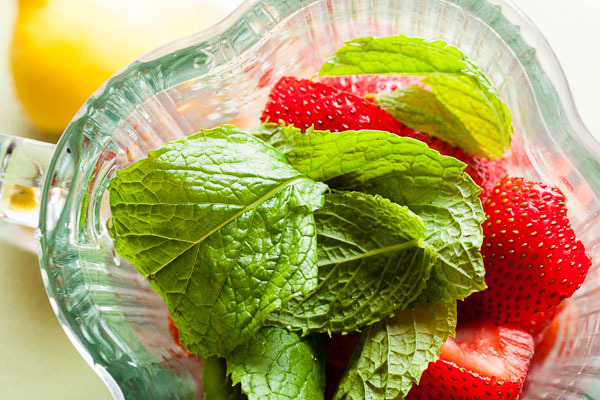 Combine the strawberries, lemon juice, and mint in your blender and purée until smooth. 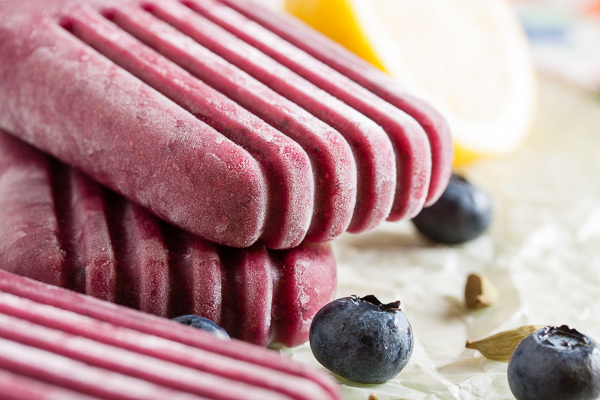 If you want a super smooth popsicle, you can then strain the liquid through a sieve, but it's really not necessary. 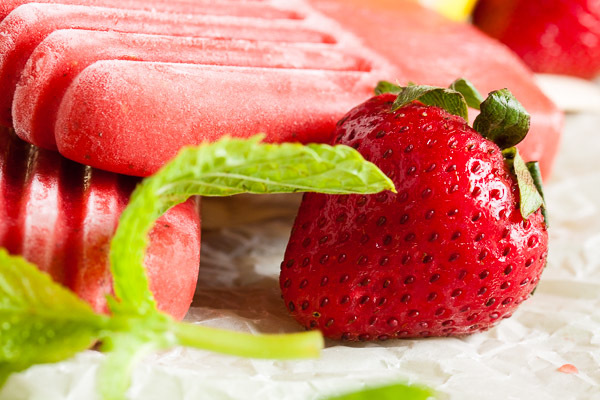 The strawberry seeds are pretty much unnoticeable in the finished popsicle. Add the sugar syrup and pulse a few times just to blend. These pictures are the most gorgeous!! I have the uncontrollable urge to run and buy strawberries and mint and make these immediately before strawberry season ends.